From small portable material lifts to telehanders, scissor lifts, telescopic and articulating booms, Genie products are known to offer exceptional performance, safety and reliability. Presently, the access equipment market in the country is still at an initial and introductory stage. But, it definitely offers huge potential for growth going ahead. 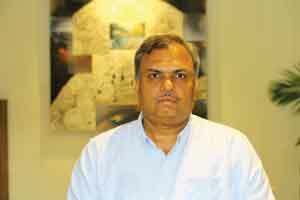 Rakesh Kumar, Country Manager – AWP India, Terex India Pvt. Ltd., in an interview with Shashidhar V throws light on the company’s push in the country and how their popular brand – Genie – is shaping the market. Let me start off by ascertaining your views on the Aerial Work Platforms and Telehandlers markets in the country today. 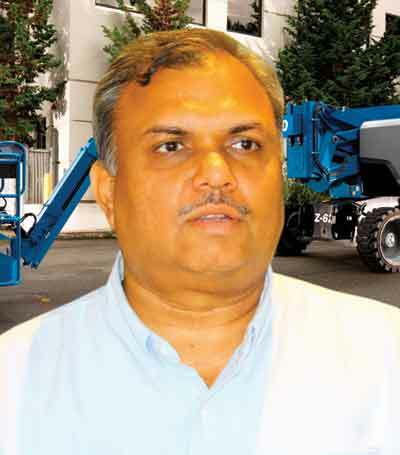 Presently the Aerial Work Platform and Telehandler market in India is at an initial and introductory stage. But, it definitely has huge potential for access equipment in coming years. As we all know, the present state of infrastructure is not adequate for the size of the country. We certainly require a massive scale of infrastructure development in all sectors viz. power, road, port, aviation, railway, internal transport, etc., and all such construction activities have great potential for access equipment and telehandlers. When it comes to the Indian market, what would you say are the growth drivers today? 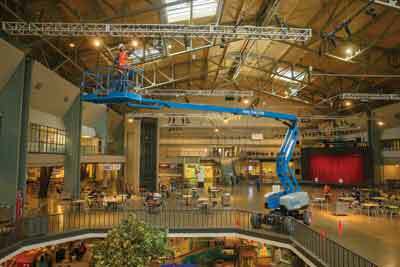 Presently, there are three major growth drivers for Aerial Work Platforms. These can be identified as the increased level of awareness and safety consciousness at work site, Mega Projects with time bound completion schedule, and entry of new players with long term vision in access rental market. How has your overall growth been in the country in the past year or two in these equipment segments? And, how does the growth match your projections? There has been slow and steady growth in the last few years in these equipment segments but, in last one year or so, there have been a lot of activities in the access market, which not only ensures a substantial growth at present but also indicates a very positive trend for future. We have been expecting this growth for quite long and, hence, are well prepared to meet the increased demand. Genie® GTH™-3007 is the compact telehandler that offers a lift capacity of up to 3,000 kg and lift capacity at maximum height of up to 2,500 kg. In more developed nations, the compact machines of telehandlers are expected to see high growth with renewed emphasis from OEMs. Where – in which class of machines – would you bet on in the Indian market? 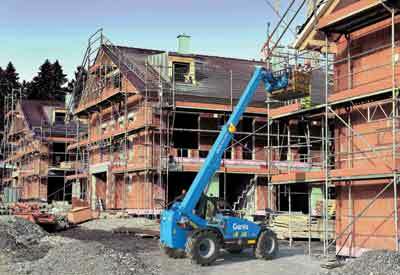 Telehandlers are the most popular and sought-after machines in any construction site in developed nations. Actually, these are the ‘First In-Last Out’ machines for any construction worksite. The increased number of attachments suitable for various applications has made telehandlers one of the most versatile machines. However, I feel for our country, the increased level of palletisation and awareness towards usage of machines for safe working will be a key to the growth in this segment. How are you placed to serve these segment classes? And, how much of this growth would you attribute to refleeting? At present, this segment is more conversant with pick-n-carry crane, although these are not the right equipment in both, safety and productivity point of view. As an OEM, we not only need to educate the people towards safety but also toward the total cost of ownership to serve these segments. There is no doubt that a local presence in terms of a manufacturing facility greatly benefits the company. What are the Group’s expansion strategies? We understand the benefits and advantages of local manufacturing and the same may be considered by Terex management in due course of time. So far, we do not have any manufacturing facilities for these equipment in India. We have got manufacturing facilities in U.S., U.K., Italy and China for various range of products. At this point, most of these products sold in India are imported from one of these manufacturing facilities. To what extent are your machines made ‘for’ India? Our machines have best available safety features and fulfil all the requirements for working in Indian conditions. We strongly feel that all safety features on these machines must be maintained as per the global standards, even for working in Indian conditions. However, different options or accessories may be added to meet the different site conditions and usages. Would you throw light on the equipment that you offer the Indian market? As on today, we offer the same equipment to Indian market which are being offered globally. Hence, all the equipment offered by us maintains the best global standard and practices in safety, quality and workmanship. We have the entire range of access equipment – Scissor lifts, articulating booms, Telescopic booms, and Vertical mast in our portfolio to meet various applications of safe working at heights. We have the solutions for reaching at various heights ranging from 20 feet to 186 feet. We provide a complete range of products to our customers to meet their requirement for both indoor and outdoor applications and usages. Recently, we have introduced extra load capacity booms – the ‘XC’ series – globally and the same is also offered here in India. What according to you are the pain-points or challenges in terms of the AWP and Telehandler market in the country? 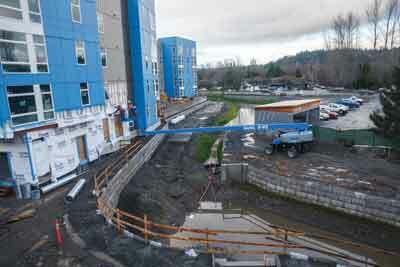 Lack of safety regulations for working at heights is a big challenge for AWP. We must accept that Safety and Productivity are interlinked. Human life is the first and foremost thing and must be an integral part of any development. Even a small step to avoid injury or loss of life at work site not only increases confidence of workers and morale of the work force but also increases productivity. An important point that is not being addressed as much as it should in the country is the lack of safety certifications of the equipment and regulations. How are you, as a leading industry player, addressing this issue? This is true that it is a concern for all of us in the industry that we don’t have any specific safety certification or regulation for working at heights. We are hopeful that the safety regulation in this area will not only be put in place but will also be followed strictly by all stakeholders. It must be a united effort to make our work place safer. Of course, the government can take a lead in this regard. We, as an OEM and leading industry player, are conducting safety training and seminars at work sites and also providing inputs to various statutory bodies and associations towards safe practices and regulations being followed across the globe. Again, there are no regulations in the country stopping the importing of old, used equipment from other countries, which can prove to be detrimental to local manufacturers as well as to the operators of the machines. Even a country like Sri Lanka has regulations where one cannot import used equipment that is older than seven years. Do you think that such a regulation needs to be brought limiting the age of the equipment? The uncontrolled import of second hand equipment is also a point of concern mainly because of condition of equipment and its residual safe usage life. The continuous use of second hand equipment having crossed its normal usage life is always a potential safety concern. In the best interest of the safety at work place and industry, there must be some discouragement and demotivation towards use of such equipment at work site and some controlling mechanics and certifications should be in place to avoid such situations. In a market that sees a good amount of competition, what are the key decisions that you need to take as a manufacturer to grab a larger share of the market pie? Quality: A companywide mind-set of ensuring the best in materials design and processes to drive brand preference. Solution: Trustworthy advice; fixing problems with creative answers. Support: Leveraging our history of providing superior customer service to provide the best in everything we do before, during and after the sale. Would you throw light on the use of new technologies in your machines, such as sensors, etc? Genie Lift Guard Contact Alarm system, which is an electronic secondary guarding system that provides additional operator protection. This system immediately activates and alerts ground personnel if an operator makes contact with the breakaway cable by means of a sound alarm and a flashing beacon. Genie new improved LOAD SENSE System has zero-load calibration, which increases productivity and reliability by means of the load sensor cell that continuously weighs the load in the platform. New Automatic Envelope Control Technology provides the ability of retracting the boom automatically when it reaches its operating envelope. It allows better platform positioning and an enhanced operator experience. 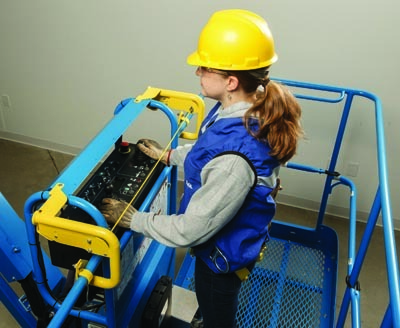 Genie Fall Arrest Bar: This new system enables the worker to use their Genie boom lifts as a fall arrest anchor to enjoy the benefit of a greater working area to move around in, while remaining connected to the platform. Genie® Lift Guard™ Contact Alarm system activates and immediately alerts others that an operator may need help. Many players in the more developed nations are already talking about hybrid and fully electric drivetrains. What are your thoughts on these lines for the Indian market? 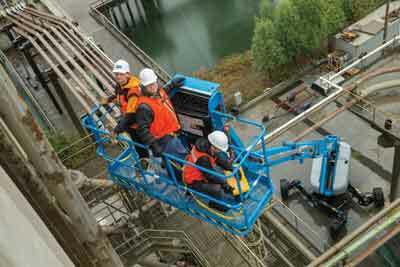 ‘Genie’ is also moving ahead with the introduction of hybrid models in aerial work platforms. Recently, we had introduced our state of art new product Z60FE, hybrid model having 60’ articulating boom. We have many full range electric models to suit the indoor application that are also environment friendly. We are fully committed to push environment friendly machines in India also. What are the factors on which your product development is based on? Our major value proposition is safety and productivity. Safety comes first with Terex. ‘Genie’ teams traditionally have been customer friendly and the customer feedback and their expectation is the major base for our product development. At ‘Genie’, all team members are driven by the mission to provide solutions to our customers that yield superior productivity and return on investment. Genie®Xtra Capacity™ (XC) booms are designed to work in more applications that require higher capacities. What, according to you, are the factors that one needs to bear in mind while making the purchase – besides the basics, such as the capacity and lift height matching the job requirement? Of course, the capacity and height of job are the basic requirements, but the application and the duty conditions are also important while selecting the right machine. For example, it may vary for indoor or outdoor applications, reach to job location, required duty conditions, up and over clearance, etc., are also important factors in deciding the right machine. Telehandlers, especially, are often used incorrectly on the job sites, often leading to increased maintenance issues impacting a manufacturer’s brand equity. How do you ensure that owners use their machines for the right purpose? As already explained, Telehandler is a machine having versatile application. There is a possibility that due to lack in knowledge about various attachments and applications, these machines are not being utilised properly at work site. In my view, the adequate operator training and proper knowledge of machines are the only remedy in this case. Genie S®-65 telescopic boom, up to 500-lb (227 kg) capacity is one of the most popular machines used in India for construction and at industrial jobsites. To what extent is your after-market developed? We have our manufacturing foot prints in five countries and we serve in around 140 countries across the globe. We have major presence with complete sales and service support in all these countries, either direct or through our dealers. ‘Genie’ teams traditionally have been customer friendly and maintain the highest level of customer support across the globe, and similarly in India, we are also trying our best to provide the similar experience to our customers. We have a very strong team of ‘Genie’ specialists and well-trained service engineers along with parts availability with our dealers, spread across the country to support our customers. Based on requirements of Indian OEM's array of individual products and standards, how are the engines featured and designed to have complete equipment integration? How do you ensure installation flexibility? As of now, the products being offered are imported and are brought in completely assembled/integrated condition. How is the technology that you offer placed to suit in Indian requirements taking into consideration that the equipment works for extended duty cycles and adverse conditions in India? So far, the products offered are of global standard and are fully suitable to meet the Indian requirements. As these aerial work platforms are being used for lifting personnel with small tools and tackles, the working conditions and duty cycles are not much different from anywhere else. However, the proper operator training can easily bridge the gap, if any. Two machines in one, the Genie® Z®-60/37 FE fuel-electric hybrid articulating boom lifts is one of the eco-friendly Genie machines and is ideal for outdoor and indoor applications. It has won many international awards for high performance, high efficiency and low emissions. Lastly, what is the growth potential for your AWPs and Telehandlers in the country? There is huge growth potential of access equipment in our country. Increased focus on industrial and infrastructure activities and mega projects, a substantial growth of access equipment is expected in next 5-10 years. The implementation of GST has also strengthened the rental segment, which is the major customer base. In short, I am highly optimistic that next 5-10 years are likely to be the year for access equipment (AWPs) and Telehandlers. Our machines have best available safety features and fulfil all the requirements for working in Indian conditions. At ‘Genie’, all team members are driven by the mission to provide solutions to our customers that yield superior productivity and return on investment.